Fire Island Ferries run very few boat in the winter. For winter 2012 Ferry Schedules click the links below. 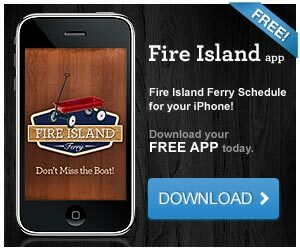 To make life easier we have also built a Fire Island Ferry Schedule tool. Where you can enter the date and community and it will show you the times that match. This updated as the schedules become available. If you have an Iphone we have a FREE Fire Island Ferry App that has the schedules for all of the towns on Fire Island including the Grove and Pines!